Costa Rica hit a record-breaking 558 homicides — more than one person a day — during 2015, according to the Judicial Investigation Police’s (OIJ) 2015 annual report released Monday. 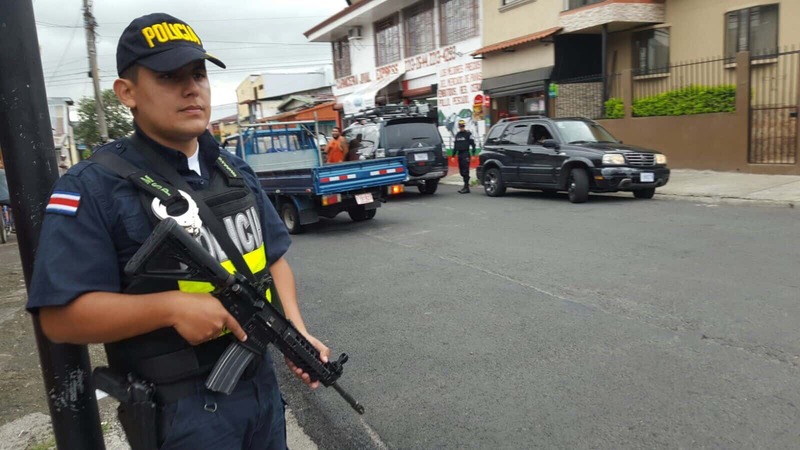 Costa Rica has seen double digit homicide growth the last two years, up 14.7 percent in 2014 and another 16.9 percent in 2015 after several years of declining figures. Homicides weren’t the only dark spot in Monday’s report. Thefts have more than doubled across Costa Rica in the last five years and car thefts were also slightly up over 2014. OIJ Director Walter Espinoza cited a “culture of violence” in Costa Rica as one of the reasons behind the jumps in homicides and thefts during the last year. The province of San José reported the most homicides in 2015, at 258. But the Caribbean province of Limón was the deadliest with a 22.4 homicide rate per 100,000 inhabitants, followed by San José at 16.2 per 100,000 inhabitants. Stronger policing tactics might actually have played a role in the spike in homicides in recent years. Authorities pointed to the break up of several criminal organizations in places like the canton of Desamparados, just south of the capital, San José, as one of the causes of the spike in killings. Espinoza said that power vacuums created by arresting the leadership of criminal organizations can generate violence as other groups vie for control. The OIJ director said that studies suggest this violence tends to stabilize over time, but he did not specify when he believed that might happen. Costa Rica’s homicide rate climbed to 11.5 per 100,000 inhabitants in 2015. Costa Rica’s homicide rate may be ticking up but it remains far below that of its northern neighbors in El Salvador (104) — the highest in the world — Honduras (57) and Guatemala (36). Thefts have more than doubled across Costa Rica in the last five years. In 2011 5,144 reports of theft occurred. In 2015, that figure was 11,489. OIJ claims that more than 55 percent of thefts were due to negligence on the part of the victim, followed by pickpockets, who were responsible for more than 20 percent of thefts. The cantons of San José and Alajuela reported the largest number of thefts at 2,222 and 710, respectively. Nationally, there was a theft reported every 46 minutes. Guns were the preferred weapon for criminals in homicides, robberies and car thefts, according to the report. Espinoza said OIJ supported more robust gun controls to help curb the use of deadly force during these crimes. There were some areas of improvement last year. Home robberies were down 13.4 percent and non-residential burglary decreased 12.9 percent, according to the report. Assaults were also down in 2015 compared to 2014. Espinoza said that police cooperation, robust investigations and successful prosecutions would be needed to address Costa Rica’s lack of public security.